I am just your typical travel blogger. My narratives and even guides are not that perfect, syntax and grammatically-challenged at times, and more so non-existent in the cyber world. I initially started to share my stories to serve as notes and a repository of intangible and memorable life experiences – all related to travel. Through time, I fortunately was able to build a number of readers – not that much but sufficient to boost my ego in pursuing the passion for travel blogging. When social media accounts became part of every households’ routine and every millenials menu for the day, I was fortunate to be absorbed by the bandwagon – not only my blog readers but my social media followings likewise increased drastically and dramatically. But what’s the point of all these introductions? 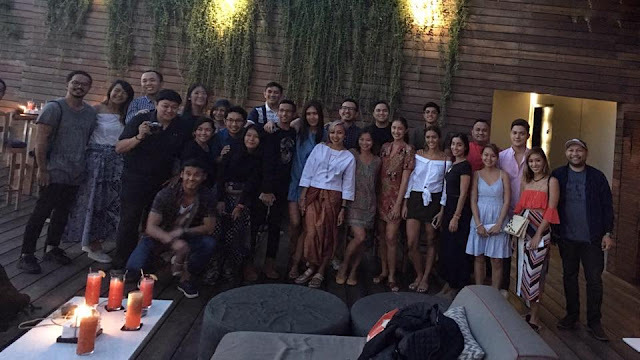 I only wanted to say that because of this passion, I had the once in a lifetime opportunity of being able to travel with the online celebrities of Southeast Asia and much more be friends with them- as if you have known them for a very long time. 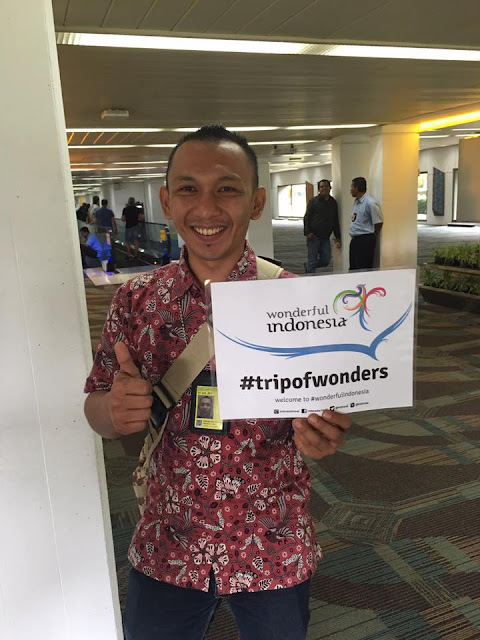 This is the very essence I suppose of the Ministry of Tourism of Indonesia’s campaign – Trip Of Wonders - gathering the social media and online influencers in a fun and enjoyable way with a backdrop that is worthy of sharing and to fully exclaim that it is indeed “Wonderful Indonesia”. I have a full time job which means it is not easy to take a leave of absence as everything should be planned ahead of time. I received an email to take part in Batch 2 of the Trip of Wonders for this year. It was hard for me to resist the invitation but I have to decline and prioritize. The itinerary would cover almost 16 days. Fortunately, the representative informed me that there would be Batch 3 on a less number of days, which I easily accepted. My close friends though will be participating on Batch 2. The only person I know who had a similar invitation within our group is my travel buddy Kirk, who can’t leave work as well for such a long period of time. At least I have someone familiar to travel with for Batch 3 along with Lilliane who I met on one drinking sprees in Manila together with common friends as we belong to one group - The Pinoy Travel Bloggers but she took a different flight to Jakarta. It was an early morning flight for us on board the Malaysia Airlines with the route Manila-Kuala Lumpur-Jakarta. 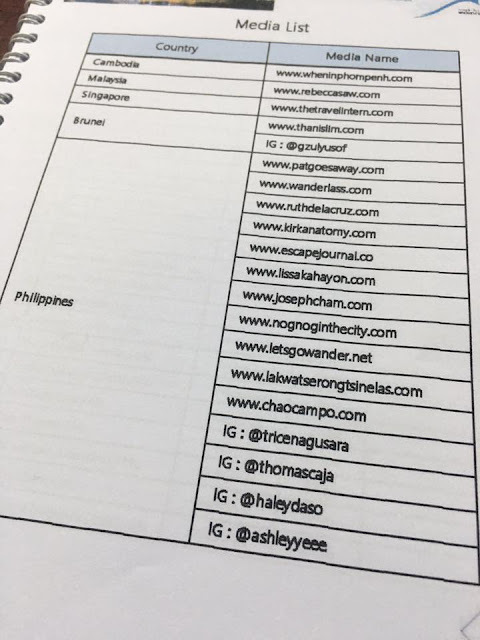 Apart from Kirk, I have not personally met anyone from the Philippine participants and the Philippine delegation shares a large percentage. I will be traveling with online superstars from across Southeast Asia. That’s how lucky I am. We were with Ruth and Rodel while checking-in at the airport and met Seph and Trice while waiting to be on board en route to Kuala Lumpur. They became our instant friends as if we’ve known them for so long. From that moment, I knew no matter how short the number of days for travel is, this is going to be an epic one. I have been to Indonesia for three times and for two consecutive summers. It indeed has a lot to explore. Yogyakarta and Bali will be our destination for this sponsored trip, which key places I have previously explored with friends as well. 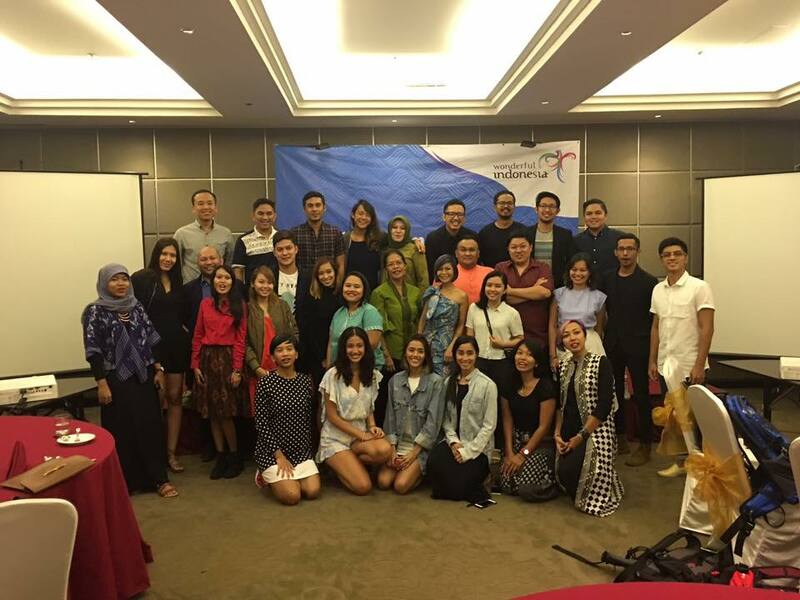 The Ministry of Tourism of Indonesia surely knows how to value social media influencers and bloggers. While other commercial establishments and brands think of our craft as free of charge, in the process benefiting much exposure and lessening their marketing expense, more compassion and worth is placed by the Ministry for online influencers. The Ministry of Tourism of Indonesia do understand the plight of bloggers and social media influencers - the result – a successful social media campaign. Working with the social media influencers surely leads to a long way if used in the proper perspective. More than the passion, artistry and creativity is expected. This is one of the lessons I’ve learned while traveling with them. It is not only about mere random posting – blog, videos or photos – but one that is well- thought of with a specific target market on mind. It’s like a service-oriented business. Professional in the literal sense of the word I should say. It was a perfect example of working without necessarily realizing you are because the process is enjoyable. To the Ministry of Tourism of Indonesia, you have set the standard of how social media campaign should be done – fun, fair and professional. No exploitation of talents. But the most important of all, you have created a bond of friendship with a common passion, instilled discipline, love for work and made every participant (speaking for myself) to pursue and even more enhance one’s passion with desire. It was an epic trip, indeed. And I'm so glad we met at the third batch. Yes the most memorable thing of the trip is how we could be such good friends in 5 days, from strangers to good friends that travel together. I hope to meet you again, someday, somewhere :).